Let’s try something new. Let’s consider what we eat in terms of energy, not nutrients. Everything in this world has its own unique vibration, depending on its content, quality and characteristics. 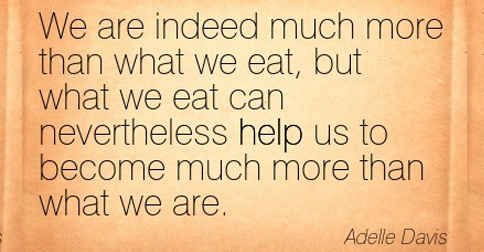 This includes our bodies, and the food we eat. The faster our mind and body is vibin’ the more conscious, aware and in sync we are with the world, and nature around us. There are many methods for raising these vibrations and getting in touch with our nature. Eating highly nutritious, energetic foods is one of the easiest and most tangible ways to do this. And baby, you will feel it! Here is my list of high vibration, naturally nutrient-packed and delicious foods to enjoy for expanded awareness and a beautiful, functioning body. Clean eating means clear thinking, so let’s get these brainwaves moving! This meals kale, arugula, spinach, Swiss chard, bok choy, and mustard greens, etc. These babies are so vibrant because of the energy they soak up directly from the sun in their production of chlorophyll. As a rule, any bright or dark colored vegetable or fruit is packed with nutrition, and good vibration. Pick any one of these to toss in a salad or sauté with a little salt and raw apple cider vinegar. This is the perfect way to get those dark leafy greens. Throw them in the juicer and out comes an easy to drink, easy to digest, immediately absorbed energy source. This, above all else is my favorite way to raise my energy and awareness through food. When I feel stuck, lost, or uninspired, I make one of these bad boys and seriously feel better within seconds after my first gulp. You’d be surprised at how delicious, and satisfying a green juice can be. This food is ALIVE. It is roaming with beneficial probiotic flora, just waiting to join our gut ecosystem. This is what we want! There is literally so much action here, and it affects us accordingly! Living foods lighten and brighten us, leaving us feeling A-ok. Raw sauerkraut, kimchi, rejuvelac, and kombucha are all great examples. 4. Sprouts and any Raw and Living Foods. I’m talking raw nuts, seeds, fruits and vegetables, good for obvious reasons. These have not been processed or degraded in any way and are vitamin and mineral goldmines. Sprouts, too! Sprouting is easy, and it improves the digestibility, nutrition, and liveliness of any nut, legume or seed! Chaga and Reishi are the big ones here. All edible mushrooms boost your immune system and have antioxidant, anti-inflammatory benefits. And the subtle creation of these fascinating plants is enough to see its vibrational qualities. Just LOOK at them, they’re truly beautiful, and so fascinating. These two medicinals are at the top of the list, for these properties, and so much more. It’s worth looking into, and getting your hands on some. I drink tea extracted from Chaga each and every morning, and enjoy Reishi tincture each day as well. 6. Clean and Pure Water. Reverse osmosis or freshly collected spring water are the best choices. These waters are pure, and immediately sucked up and circulated. Our organs need to be hydrated to function properly, and we need it to think clearly. Our bodies are over 50% water, so this is worth paying attention to. These waters are best because they are free from the chemical waste products and pharmaceuticals that are lingering in our water systems. This includes the worst offender of all, especially for spiritual and creative growth…FLOURIDE. This is a controversial subject for most, but whether or not you choose to brush your teeth with the stuff, I think we can all agree we don’t want to drink it. So go with the clean stuff. If these high quality waters aren’t available to you, filtering your water is definitely better than drinking straight from the tap. Avoid buying bottled water as the plastic is leached into the water. There are some high quality water filters, that don’t include reverse osmosis, but still filter out fluoride. Goji berries, golden berries, gooseberries, blueberries, raspberries, strawberries, you name it. These colorful treats vibrate at a high frequency and during the summer months we are blessed with most of these, fresh and easy. Raw cacao nibs are the natural, unprocessed form of the cacao bean, and you can find them at any health food store. This is one of the most antioxidant rich foods on the earth. And only heat can destroy this miracle food, so it’s best to eat this one raw. Cacao nibs are good added to salads, trail mix, or just on their own for a bitter and sweet energy surge. Chocolate is also high in phenylethylamines, also known as the lovechemical, which makes us feel so blissful and full of passion… like we are in love! If that’s not high energy I don’t know what is! Think positive thoughts, and pour your own energy into what you are eating. Feel truly thankful and in love with what you are about to consume (and make a part of you)! I love to place my hands directly above each meal before I eat it as a physical gesture of mindfulness, forcing me to slow down, appreciate and be thankful before I take my first bite. I don’t remember who introduced me to this idea but it is truly so powerful, and I have been doing this for each meal ever since. Not only does the lack of pesticides raise the vibe of anything, but the way the food is planted, handled and cared for also plays a huge role. This is why local AND organic is the best combination ever, aside from wild grown and foraged foods. And this is only the beginning! Our planet is filled with opening, refreshing, enlivening and empowering foods. There are so many more!